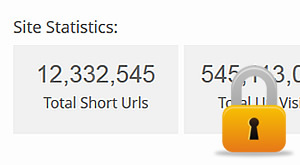 View detailed stats on visitors, countries, browsers and more. 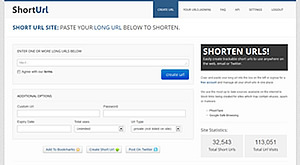 Create your own Short Url Site now. 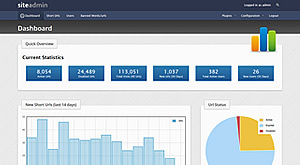 Our PHP script comes with 100% source code, support and free updates. Beautiful responsive layout, multiple url support, social integration, developers API, members login, admin area and many more features. 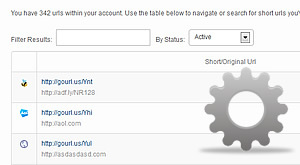 Click on the following screenshots to see a live demo of the short url script & admin area. Simple to install, just upload the code via FTP, set your database and site settings and your url shortener is set. Alternatively let us install the script for you. The codebase is built on our own plugin architecture which makes it easier to add additional features to the script without changing any of the core code. Built and tested for high traffic sites, externally XSS tested and built in Malware & Phishing link validation.